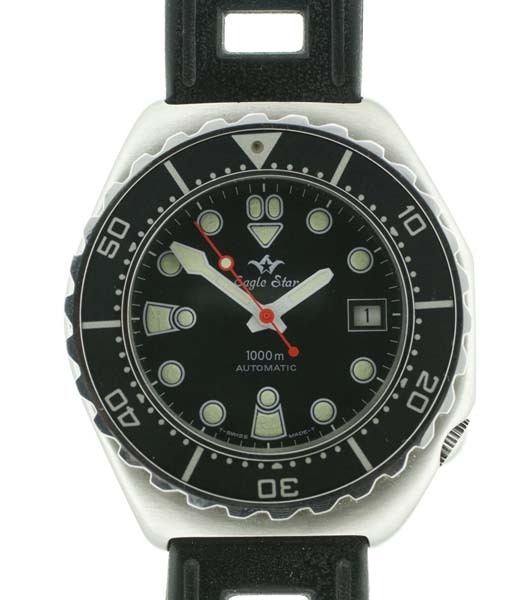 Eaglestar 1000 metre divers watch with military connection. Eaglestar 1000 metre divers watch circa 1980’s. 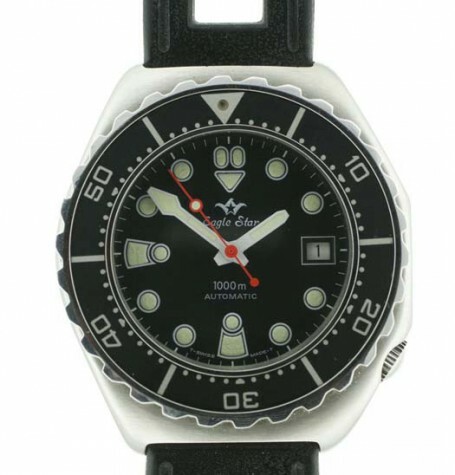 This is a very rugged sports watches in a somewhat compact form factor for a 1000 metre divers watch. 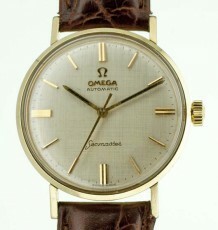 Think back to what a 1970’s 1000 metre divers watch looked like. 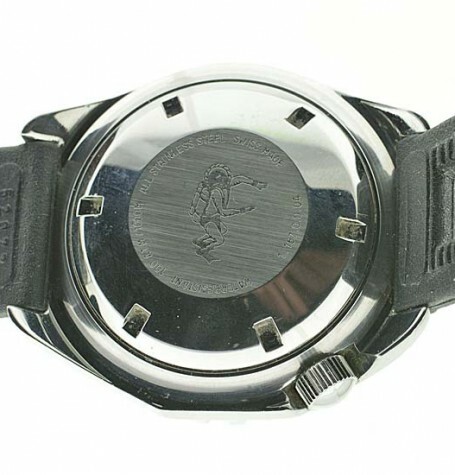 I originally came across a stash of these Eaglestar watches in new old stock condition from a local retailer in 2003, back then I was selling them for much less. 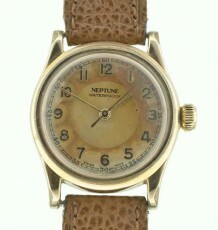 This particular watch was traded back into me recently and was serviced by my watchmaker. As you can see the condition is virtually unchanged over a decade later. 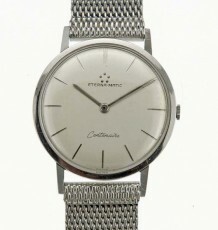 The watch features what appears to be a mineral glass crystal devoid of any scratches. 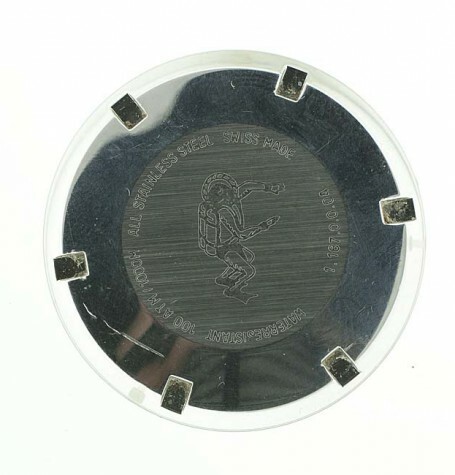 The crystal actually sits a millimetre or so below the bezel so is less likely to be damaged or scratched. 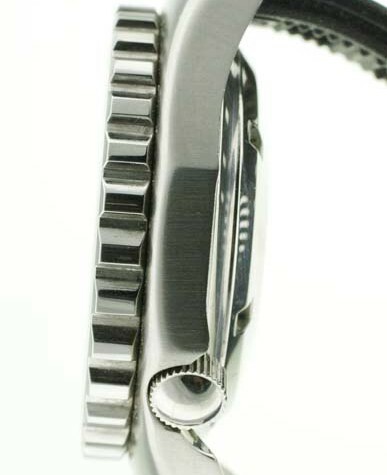 The steel case has a thick knurled bezel with a uni-directional ratcheted divers bezel. The matte black dial uses large tritium luminous markers as hour markers and thick luminous filled hands provide excellent legibility. 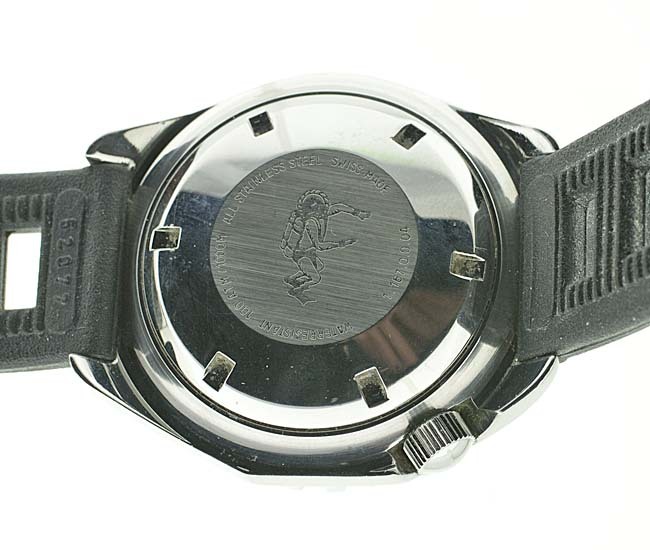 These watches were made by Candino and sold under many name as well as being contract ed to other brands. The most notable of these brands was Beuchat. The Beuchat models were sold to the French Government and used as equipment by their Navy divers. 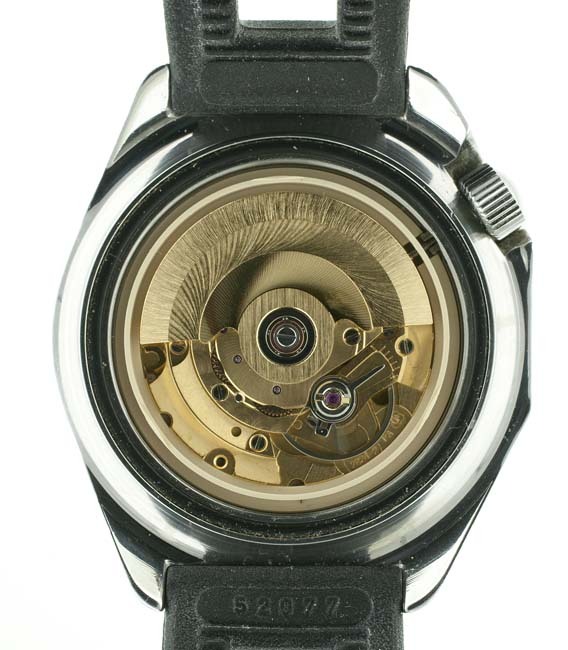 Powering the watch is a 25 jewel ETA calibre 2824-2 with A ball bearing fitted rotor. 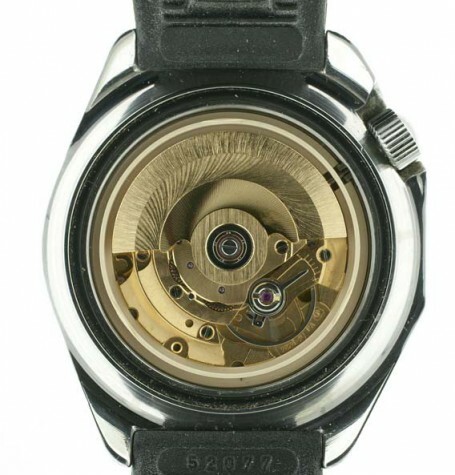 One unusual feature of the watch, and one I particularly like, is the crown being moved down to the 4 o’clock position where it is less likely to be damaged. 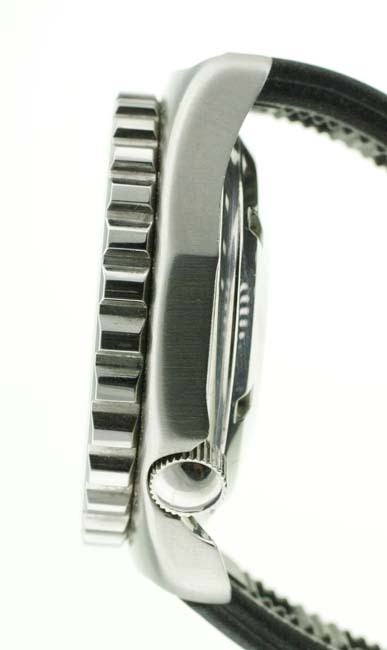 Furthermore you can see the crown does screw-down into the case without the need for a bulging crown guard. 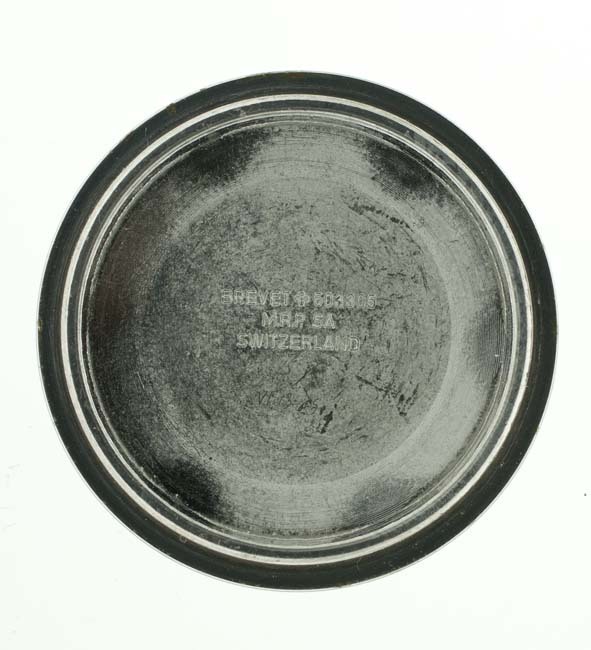 The heavy steel case-back is engraved with a diving frogman and a certification that the watch is water-resistant to 100 atmospheres of 1000 metres. Overall this watch represents outstanding value and shares a military heritage that includes other models such at the Tudor Submariner, Eterna Kontiki and Certina PH1000M. 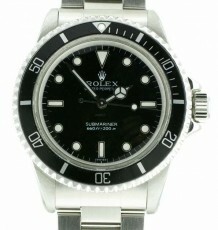 The watch measures 42mm wide by 47 mm long and 15 mm thick. 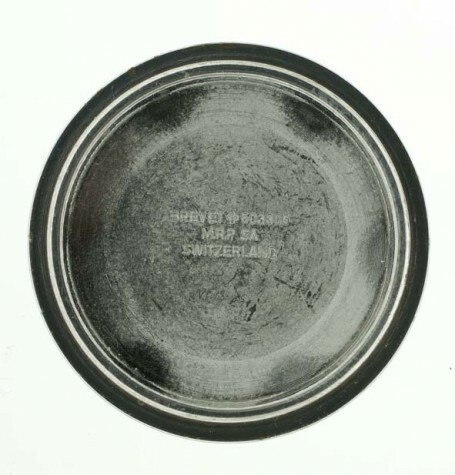 It is supplied on the original rubber strap they were shipped with.